Fishing in the Alumine is fishing a river of many shades. It has great rapids, pools, rocks and a countless of tributaries making this river one of the most important in the area. 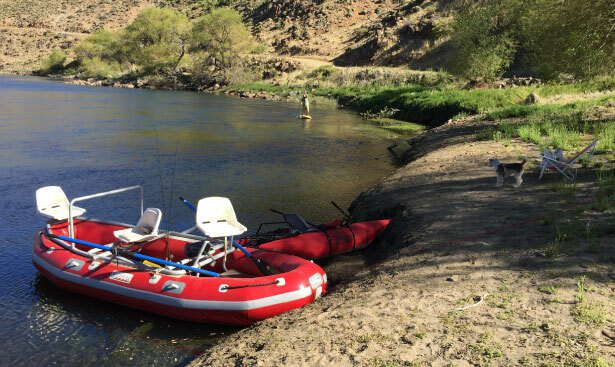 It is an excellent river to be floated o waded and you can fish rainbow and brown trouts throughout the season. 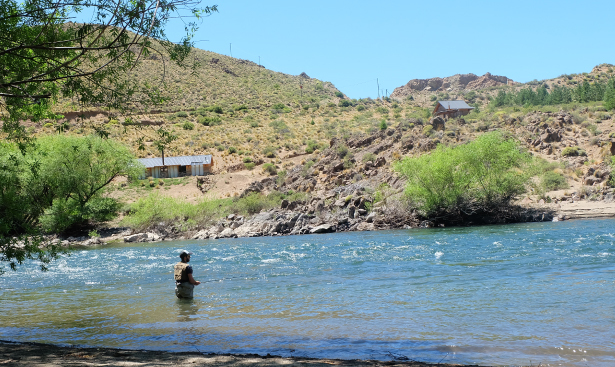 In the area of Nahuel Mapi Lodge, the Nahuel Mapi river flows from the mountain into the Alumine generating perfect conditions for fly fishing. The Nahuel Mapi is a mountain river that flows into the Alumine at the height of Pilo Lil. This river gives the name to our lodge and is one of the most trout rich fly-fishing sources. It is relatively a virgin river which makes it unique for fishing. You can find brown and rainbow trout of great dimensions turning it into a paradise for fishermen of all kinds. Both the Alumine River and the Nahuel Mapi are ideal for wading. 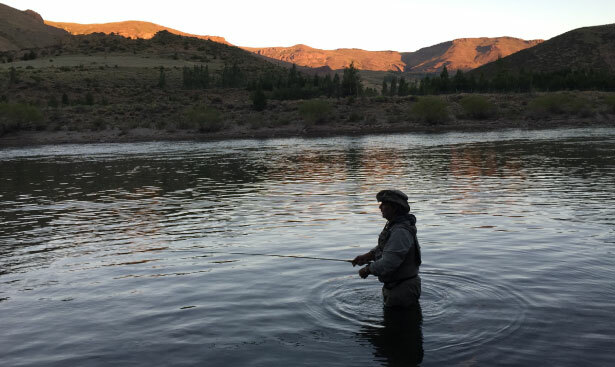 The opportunity of crossing the river, walking it and taking the time to explore it is an important part of fly fishing. 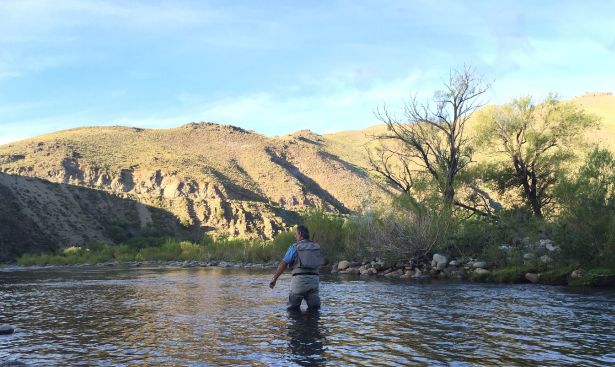 Wading also allows us to choose our position in respect of the river and find the most favorable spot to fly fish. At the time of choosing a fishing option, floating in the Alumine river is one of the best. It gives the fisherman the ability to find different parts of the river and explore every facet of its unique qualities. It also let the fisherman choose the perfect moments and the right flies for specific times of the day and weather conditions.